Obituary for Catherine Orechoff | Philip D. Rinaldi Funeral Service, P.A. 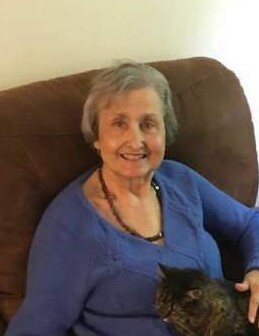 Catherine Orechoff died on Monday, April 15, 2019 and resided in Springfield, Virginia. Mrs Orechoff is survived by her husband, Nicholas Orechoff, children, Michael, Paul, and Nicholas Jr, grandchildren Alexander and Marie,step grandson Zac, her daughter in laws Barbara and Vanessa, and many relatives and life long friends near and far. Catherine was born in Paris, France to Olga de Enden (nee Grabbe) and Michael de Enden in 1935. Her mother was Countess Olga Grabbe who left Russia as part of the White Russian immigration. Her father was a relative of Dr. Eugene Botkine who was martyred with Czar and his family and also left Russia during the revolution. She resided in Paris until marrying Nicholas Orechoff in November 1957 from where she moved to Berlin, Germany. She also became a US Citizen in 1958. She lived in different parts of Germany with the exception of a few years in Massachusetts, Florida and Virginia. Her last 30+ years were spent in the US. While her husband fulfilled his tour of duty in Vietnam in 1968, she raised her three children on her own in Glen Cove, NY. Her sons and grand children were her life’s work for whom she was very proud. She dutifully served the United States as a wife of a US Air Force serviceman and government employee for over 30 years. Memorial services will be held at 7 pm on Tuesday, April 16, 2019 at The Russian Orthodox Cathedral of St.John the Baptist 4001 17th Street N.W. Washington, D.C. 20011 where the funeral service will be held on Wednesday, April 17, 2019. Burial at Novo Diveevo Russian Orthodox Convent Cemetery in Nanuet, New York on Thursday, April 18, 2019 at noon.